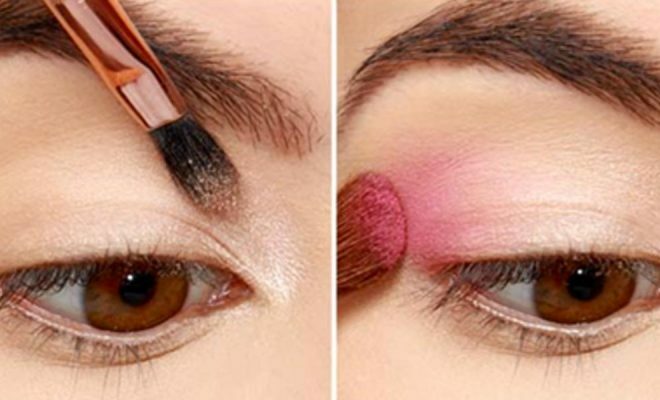 Do you know how to makeup your eyes like a pro? Never fear, eyeshadow need not be difficult. We found the best of the best eyesahdow tutorials around, perfect for the non expert makeup girl or teen. Eyes are one of the trickiest parts when we do our everyday or special occasion looks, especially when we are a novice at everything makeup. But truth is, we can always rock an eye makeup look without having to go to the salon. Meaning, we do it ourselves! With the right tools, with the right make-up and when you know what style looks perfect for your eyes, then you are all set to look gorge! But! If you are a total novice at this, don’t worry, you’re at good hands. We made a list of the easiest eye makeup and the chic-iest shadows for all types, colors and shapes of eyes. Whether for everyday look, or for the special moments in your life — here are eye shadow makeup tutorials for your every-occasion-needs. Complete with easy to follow step by step tutorials, these will have your eyes looking beyond amazing in minutes. Of course we’ll start with the basics. You can’t — and I mean can’t do perfect eye make-up if you do not know each of these brushes. So get to know them! Navy and Plum for the eyes sound old. But not when you make a smokey-eye out of it! Do you have almond-shaped eyes? Then this eye-shadow makeup is perfect for you. Orange on eyes?! Doesn’t that sound scary? Uh-uh. Well, if you look at that beautiful girl above? I don’t think so. So remember, not all pink look good on anybody but this is how you rock a pink eye shadow!